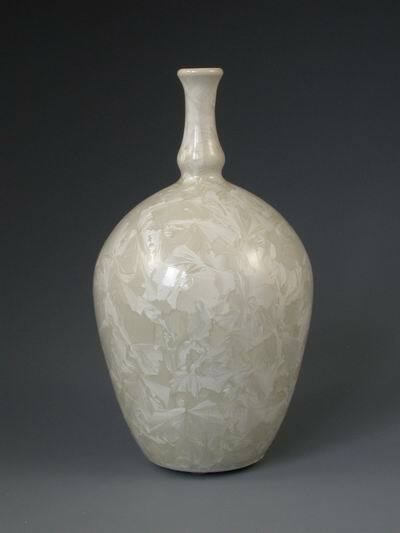 Crystalline glazes are dazzling and exciting to the eye. 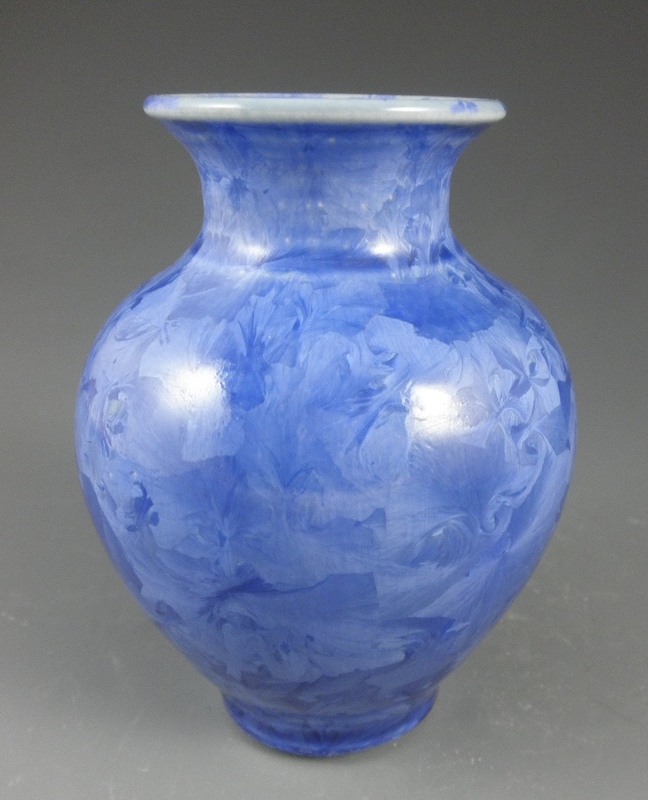 Crystals are three dimensionally recurring patterns that give depth to a fluid glaze. The glaze contains particles from which the crystals may grow; much as the manner a dust particle acts as a seed for a snowflake. Thus, these glazes capture the essence of natural crystals frozen on porcelain. 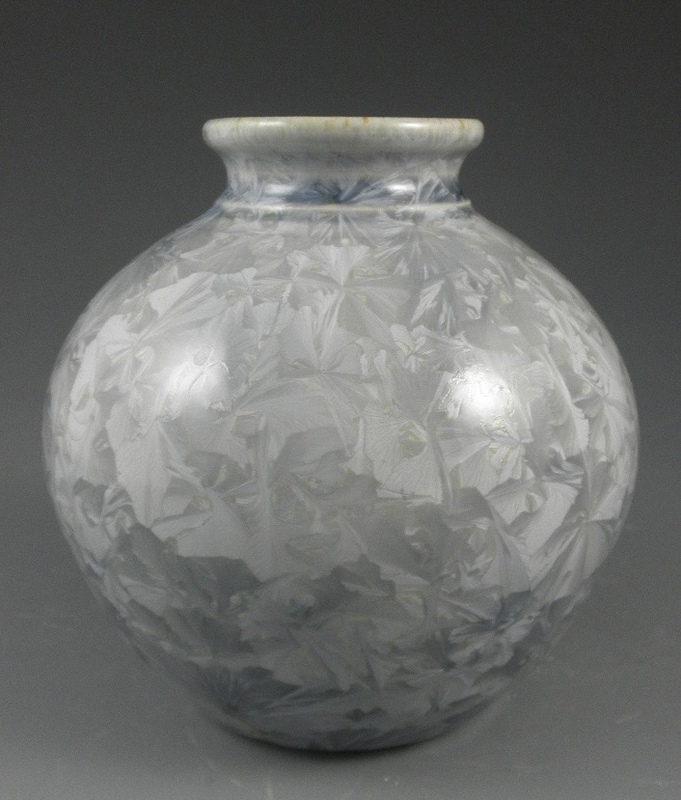 Crystalline glazes are produced through specific glaze formulation and carefully controlled firing procedures. After the firing process, the porcelain is gently cooled for a few hours to allow the time necessary for the crystals to form.